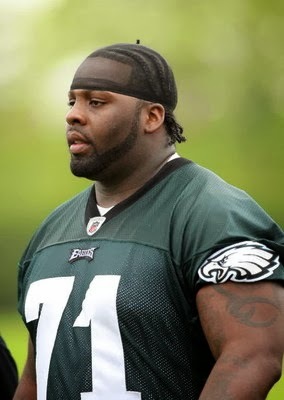 The contract extension Jason Peters signed keeps him among the top-paid offensive linemen in the NFL according to his agent. Peters is due $51.3 million over the next five years, including $41.3 million in new money over four years. The deal contains $19.55 million in guaranteed money, including $10 million this season. Peters said his first NFL contract netted him a $5,000 signing bonus with the Buffalo Bills, who signed him as an undrafted tight end in 2004. Peters, 32, is the third-oldest Eagle after Jon Dorenbos (33) and Donnie Jones (33).